EVERYTHING ABOUT THIS BOOK SOUNDS PERFECT. Seriously. From the title and cover (HELLO! SUMMER! ), to the book's description about music and a boy-next-door; I am beyond sold on wanting to read this one. I have a feeling it's going to be favorite YA contemp for 2014. You guys! 2014 needs to get here ASAP. looks great - love the cover! This looks so good! I'm adding this to my list! Thank you for featuring it! I love, love, love this cover! 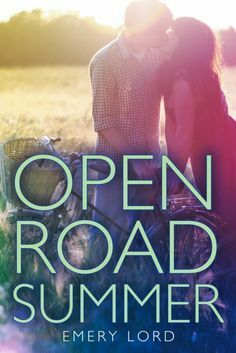 I love a good summer romance story, but I had a hard time getting into roadtrip books. I don't know what it is about them, but they just aren't my favorite. I think I have to give this one a try, though. Thanks for sharing, Ginger! I LOVE this synopsis. And it's about music! This sounds so good and it has a great cover! Great pick! This one sounds great. I like that the girl is leaving the bad boy rather falling for him!